I will listen to almost any kind of music and read almost any kind of book and eat almost any kind of food, but I’ve never drunk alcohol. My sister calls me Face (which is short for Banana Face). Something bad happening to my kids. I do a little of everything. My style is me. I like being myself, flaws and all. But I wouldn’t mind stepping into a superhero’s shoes for a bit. Just for the superpowers, mind you, not the angst and tragedy. I’d love to step into a Jane Austen novel, visit the Regency Era. My husband. We talk through everything. He’s my sounding board and my partner. I was always making up stories, but when I was 10 my school teacher started us writing poems and stories and I was hooked. Okay. That’s the word I love to hear from my kids. I find that idea nightmarish. I love variety. 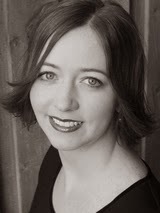 Shannon Hale is the bestselling author of novels for children and adults. Her most recent books include the Princess Academy titles, Princess Academy (KBR review) and Princess Academy: Palace of Stone. 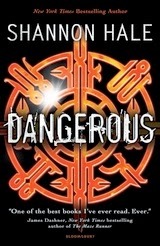 Her latest novel, Dangerous, will be published by Bloomsbury in March 2014. You can find out more about Shannon and her writing by visitng her website and Facebook page.